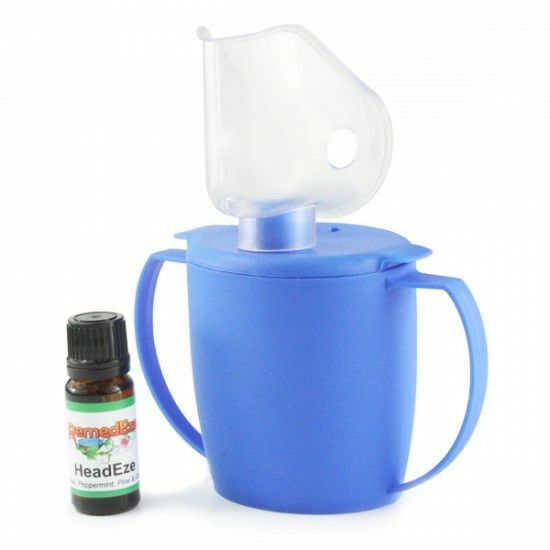 Help ease the discomfort of tension headaches, migraines and other similar ailments with the safe and easy-to-use Steam Inhaler with HeadEze. Help ease the discomfort of tension headaches, migraines and other similar ailments with the safe and easy-to-use Steam Inhaler with HeadEze. HeadEze is the perfect mix of 4 essential oils and provides a warm moody scent, perfect for promoting calm and reducing stress.